A newly founded ethnic alliance has vowed to strive for a genuine federal union in Burma while agreeing to support one another should Burmese government forces launch a military campaign against one of the ethnic allies. At a Feb. 12-16 meeting in the northern Thai city of Chiang Mai, 51 representatives from more than a dozen ethnic groups established the United Nationalities Federal Council (Union of Burma), which they say will also be known as the UNFC. The alliance includes ethnic groups with major armies such as the Kachin Independence Organization, the Karen National Union (KNU), the Karenni National Progressive Party, the New Mon State Party, the Shan State Army–North, as well as representatives of the Wa minority. Khun Okker, the joint general-secretary 1 of the newly founded UNFC, said that the ethnic alliance will share military assistance if any of the allies are attacked by the Burmese army. He said the ethnic groups have also agreed not to hold separate cease-fire talks with the Burmese regime. “Politically, the alliance will seek more support for a genuine federal union from exile democratic forces and the international community,” he said. In a statement released at the end of the conference, the UNFC said it will strive for equal rights, self-determination and peaceful coexistence in a genuine federal state. 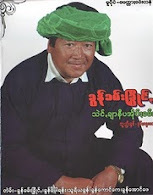 The political crisis in Burma should be solved by political means, it said. Meanwhile, several sources told The Irrawaddy that the new ethnic alliance plans to organize military training with the aim of confronting the Burmese army, raising concerns that any existing cease-fires will soon be broken. A source close to the UNFC said that the alliance will initiate military training because tensions are high between ethnic armed groups and the Burmese regime, and that the Burmese army has reinforced its troops in ethnic areas, especially in Karen, Shan and Kachin States. Tensions between the ethnic armies and the Burmese junta have intensified since various major ethnic groups refused to accept the regime's border guard force (BGF) plan. Intense fighting erupted in November between the Burmese army and forces of the KNU, as well as with a breakaway faction of the Democratic Karen Buddhist Army (DKBA), Brigade 5. Clashes have also occurred in Shan and Kachin states. To date, the Shan State Army–South, one of the strongest ethnic armies, has not joined the alliance. The Chiang Mai meeting saw a political pact agreed between the Committee for the Emergence of a Federal Union and the National Democratic Front, an umbrella organization of 12 ethnic groups including Arakanese, Chin, Karen, Karenni, Kachin, Lahu, Mon, Pa-O, Palaung, Shan and Wa representatives. The NDF was founded in May 1976 at Manerplaw, the former headquarters of the KNU. Delegates representing a coalition of Burmese opposition groups, the United Nationality League for Democracy-Liberated Area, also attended the meeting.